New larger size (23cm x 30.5cm) with special glare reducing matt coating on one side. Price is for a single blue overlay. Equips teachers to seek medical attention for children with vision and/or hearing problems. 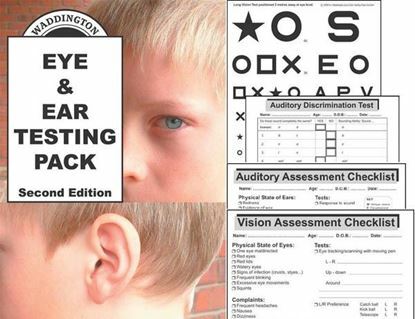 Includes: -6 eye tests (including newly updated and standardized Long and Near Vision Screening Eye Test charts). -6 hearing tests (incl. Auditory Discrimination Test). -Comprehensive, streamlined indicator and assessment checklists. 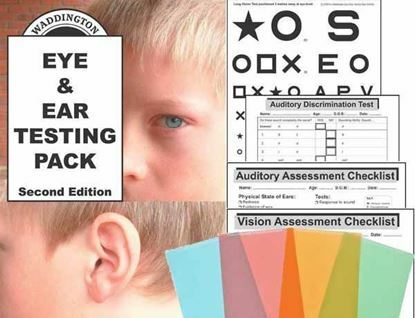 -Checklists to improve vision and auditory performance in the classroom.